Chesley House Fine Art Photography Chesley House Fine Art Photography is a collaboration of work by Ron Hewson and Susan Arness. Together we make landscape, architectural and abstract photographs. Our work features bold composition, strong use of colour and prints on metal wood and paper. Susan Arness earns her living as a busy commercial photographer. Her work takes her into the country side of Waterloo region where many of her landscapes are made. She has a keen sense of what makes our area so special and captures it beautifully in her photographs. Ron Hewson has many local exhibitions includes shows at the KWAG, Langdon Gallery, Homer Watson Gallery and Kitchener City Hall. 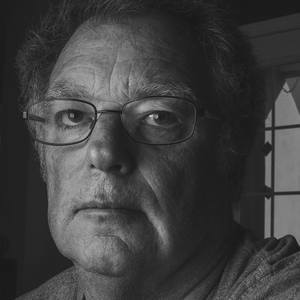 Ron has served as a founding member of Globe Studios, Photo Arts Collective and as Artist in Residence for the City of Kitchener.